Shadow minister for communities and local government Jack Dromey MP writes about the threat to the universal postal service posed by the government's postal bill. The elections across the country in May will present voters with the first opportunity to show their anger at the government’s austerity program and deep cuts to public services, at the ballot box. With the attack on the public sector so savage and wide ranging -the privatisation of Royal Mail and the separation of the post office network, as part of the postal services bill, has not got the attention it might otherwise have received. Labour, alongside the Communication Workers Union (CWU), are opposing the coalition government’s plans and will be using the upcoming elections to show voters the devastating effects they will have for postal services. The bill threatens the universal, six-day a week, goes anywhere service – valued by people across the country – and threatens the future of our post office network that is such an essential part of so many communities. 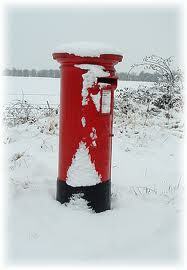 Privatisation will break the historic link between Royal Mail and post offices. Post offices receive nearly 38 per cent of their income from Royal Mail business and this is currently secured by an inter-business agreement between publicly owned Royal Mail and publicly owned Post Office Limited. The government are refusing to secure the agreement in this bill and have ignored calls from Labour for a ten-year inter-business agreement, meaning the Royal Mail could abandon the post office 18 months after privatisation. Post offices are closing every week and an unusually high number of sub post masters are looking to sell up because the government will end the link between Royal Mail and the Post Office. With over 1,000 local post offices currently closed or for sale without a buyer – local postmasters are voting with their feet and the Post Office is struggling to find anyone interested in taking on post offices with little prospect of securing future business. In my city of Birmingham alone, seven are at risk. Turning, to the threat to the universal service – the postal services bill contains no less than 15 clauses that allow the postal services regulator or the government to reduce the universal service – something very likely in the light of the need to make Royal Mail more attractive to external investors. The universal postal obligation is a vital piece of national infrastructure that supports communities and local businesses- yet it is expensive to provide, particularly in rural areas. Quite simply, no commercial business would choose to operate the universal service obligation (USO) in its current form and a private company will seek to reduce the scope of the universal service. This seems a fair assessment when TNT – previously mentioned as a possible investor for Royal Mail, labelled the USO “a kind of Jurassic Park [which] we should get rid of”. So whilst the Tories are making deep cuts to so much of the public sector they are also taking decisions that rip the heart out of rural and remote communities, make delivering mail and packages to businesses, families and friends more expensive and less frequent and seriously undermining a British institution valued by the vast majority of the public. This election will rightly focus on the unfair cuts to the public sector, yet we must not forget some of the other hugely damaging policies from this Tory-led government. Post office closures and a downgrading of the universal service must be opposed; Labour will take these issues to the public and stand up for postal services in May. The CWU only have themselves to blame after years of opposing modernisation has led to a system that’s unsustainable and has forced the state’s hand. Peter Mandelson should have forced these changes through when he had the chance then we wouldn’t have union dinosaurs who bypassed their own wive’s “All Woman Shortlist” to get a safe Labour seat spouting off here. Organising her sons own internship whilst complaining when the government acts exactly the same. Typical Labour hypocrisy from this countess toff. Will Labour ever learn how bad double standards actually look? @Mark Steveo – Sorry your wrong – The CWU have never opposed modernisation in fact they have been pushing for it since 2000. After all you have the following agreements with Royal Mail all to do with Modernisation – The Way Forward Agreement, Pay & Modernisation 2007, Business Transformation Agreement 2010. The CWU has also signed up to 50% of Mail Centres Closing, 60,000 job loses in Royal Mail since 2005, and removal of the ceiling on unaddressed mailings that Posties have to deliver. What has happened with RM Modernisation. Well a few examples include earlier last collections, later deliveries (and getting later soon) in some cases deliveries taking place AFTER the last collection at the nearest Post Box, 2500 Post Office Closing, removal of profit generating products from the Post Office. Cancellation of all night shifts in Delivery Offices (less ability to cope with peaks in traffic) Removal of 2nd delivery meaning that the only delivery of the day is now later than the 2nd delivery ever used to be. Introduction of Down Stream Access Mail that RM have to deliver (at a loss of 2 to 3p per item) which removed the inbuilt “subsidy” for social mail – which has been at least a partial cause of the recent inflation busting price rise for a 1st class stamp. What the CWU did do was attempt to highlight the effects of RMs version of modernisation and fight the imposition of unagreed changes to peoples employment contracts, hopefully most would recognise this as a fundamental pillar of Trade Unionism.